We love peanut butter and jelly sandwiches and it&apos;s easy to see why! It&apos;s simple and healthy and kids and adults love them! But after awhile the same old peanut butter and jelly slapped on bread can get old, which is why we suggest putting a little style to your sandwich making. 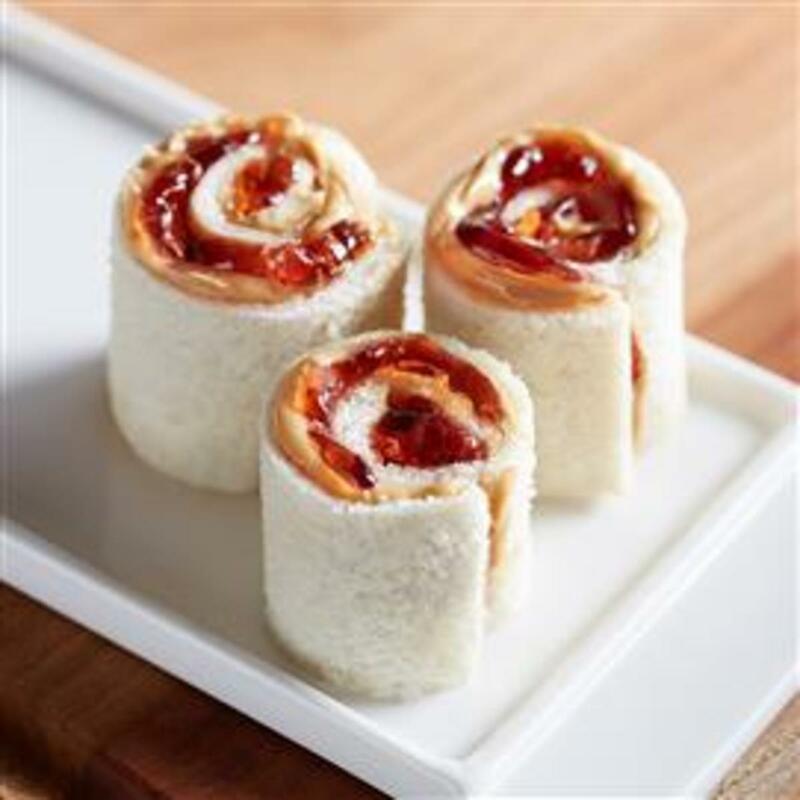 These unique PB & Jelly Sushi Rolls are kid-friendly that your kids can make themselves for a snack as well as something fun they can do with their friends. It will also be something great to try for those picky eaters. So go ahead and use your fingers or get those chopsticks out and enjoy! 1.Remove crusts from bread. With a rolling pin or large soup can, completely flatten bread. 2.Spread 1 tablespoon of peanut butter and 1 tablespoon of fruit spread on each slice of bread. 3.Roll each slice into a tight spiral. Cut each spiral into 4 pieces. I make these with my two year old son when we get sushi for dinner so he can fit right in with the theme of the meal and he absolutely loves it! Get clever and try it with your other favorite toppings and peanut butter!